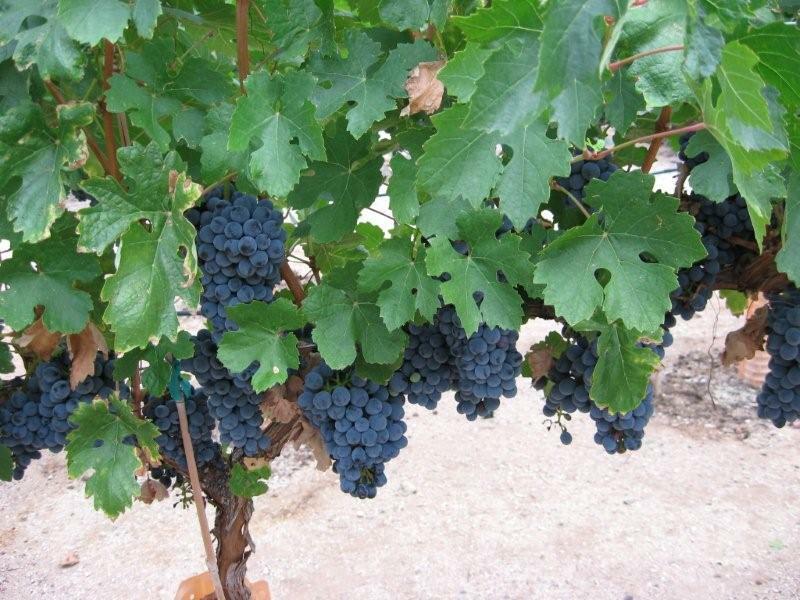 I have made wine from various fruits, but finally decided to grow my own grapes in my backyard in Tucson, AZ. This was a lot of work, but has been very rewarding. It’s now the eighth leaf for the vines. They were planted in 2008 as grafted cuttings. I chose to plant Barbera due to it’s ability to retain acidity in hot climates. Winegrapes need a certain amount of acid to balance the sugar and give a vibrant taste. Otherwise, the wine tastes flat. Barbera clusters in the third year. I got a good crop last year, 1400 lbs. The yield depends on the size of the vines, the weather, water, nutrition, and how many clusters are left to develop. More photos are posted under the Vineyard category. If you’re interested in growing grapes in a desert climate, you might want to check out Desert Wine Grape Viticulture3Desert Wine Grape Viticulture_4. This is written for the layman and covers the basics. For greater detail, I recommend “General Viticulture” by Winkler, et al, 1974. It’s written for California growers, but is still one of the best references around.